One of the few remaining ports on the Chinese coast that was not under the control of the Japanese was the British colony of Hong Kong. Strategically located at the mouth of the Pearl River, with transport links to the city of Canton further upriver, the port at Kowloon had been an important entry port for supplies arriving by ship from Europe and the US, including some of the aircraft that were delivered to the Republic of China Air Force. With the fall of Canton in late 1938 the importance of Hong Kong to the Chinese had been diminished, but it was still one of Britain’s most important colonies. When war broke out as the Kido Butai attacked Pearl Harbor, the Japanese Army was poised to invade the Kowloon Peninsula and press forward to Hong Kong Island. The importance of Hong Kong was not, however, reflected in the military garrison that was assigned to protect the colony. Although major units of the Royal Navy frequently visited Hong Kong, in 1941 none was permanently stationed at the port and the only permanent naval force was a small detachment of motor-torpedo boats, gunboats and old destroyers. Various Army battalions, including some Canadian and Indian units, comprised the colony’s garrison – a total of about 14,000 men. The RAF presence was likewise very small, consisting a trio of ancient Vickers Vildebeest torpedo bombers. The Fleet Air Arm also had a pair of Supermarine Walrus amphibians stationed in the harbour, and there were various unarmed training aircraft stationed in and around the area. Kai Tak airport was nevertheless very busy, with a number of American and European airlines sending regular services, most famously Hong Kong was a stopover for Pan-Am’s Clipper flying boats. The Japanese assigned the 23rd Army’s 38th Division to the operation to seize Hong Kong, with over 50,000 troops available in total. The air contingent consisted of 10th Independent Chutai, flying the Ki-27 fighter, the 45th Sentai with Ki-32 light bombers, and the 44th Independent Chutai with Ki-36 ‘army co-operation’ aircraft. These units were both assigned to the 1st Air Brigade, which was the unit in overall command of Japanese Army Air Force units in China. Naval air support consisted of the seaplane tender Kamikawa Maru, with a handful of E7K seaplanes. The Navy would be responsible for convoying the Army troops from Kowloon Peninsula on the mainland to Hong Kong Island itself. In 1940 a Manchukuo Airlines Junkers Ju86 airliner had been forced to land at Hong Kong, with no obvious explanation as to why it was in the area; the British suspected that the aircraft was undertaking a clandestine reconnaissance of the harbour, naval base and Kai Tak airfield. 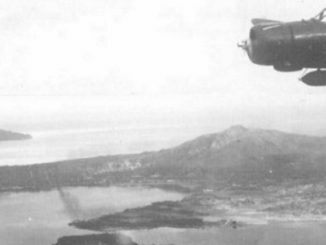 Deliberate overflights by unmarked Navy G3Ms followed in November 1941, with the aircraft photographing fortifications throughout the colony. Several civilian airliners had been shot down by Japanese fighters whilst operating from Hong Kong – these were passed off as accidents or misidentification as enemy aircraft. The invasion began at 0400 on the 8th of December with Japanese troops crossing into Kowloon, where they were met by British and Empire troops. Air attacks swiftly followed: at 0645: Twelve 45th Sentai Ki-32s, escorted by nine 10th Chutai Ki-27s attacked Kai Tak airfield. One of the Vildebeests and a few Moth and Cadet trainers belonging to the Hong Kong Volunteer Defence Corps were destroyed by strafing Ki-27s, as were two Curtiss T-32 Condor and a DC-2 transport planes of CNAC and three German Ju52s of the Eurasia Air Corporation. On the water nearby both of the Fleet Air Arm’s Walrus seaplanes were likewise strafed on the water and sunk. A nearby Pan-Am Sikorsky S-42B was strafed and dive bombed on the water and later sank. None of the aircraft had been dispersed because no funds had been made available for the creation of dispersal areas or aircraft shelters. After the attack, holes were cut in the airfield’s perimeter fence and the remaining aircraft were pushed back under cover in the hopes of giving them some protection from future bombing raids. The gunboat HMS Cicala came under attack from several E7Ks later that morning but survived without taking any damage from the seaplanes. 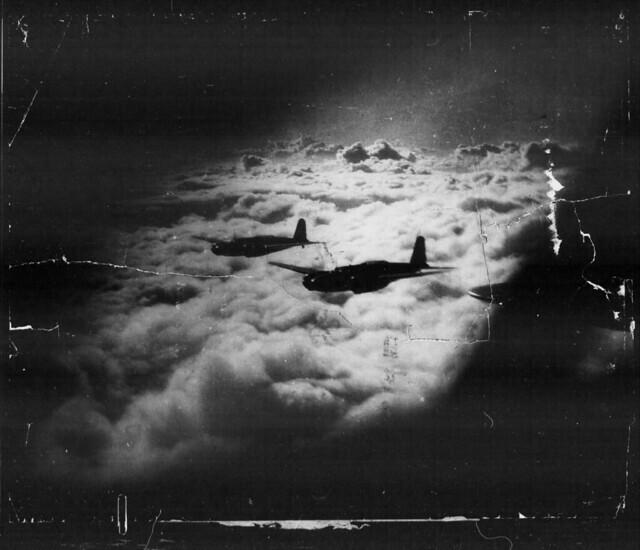 During the night all of the remaining civilian aircraft were loaded with evacuees and withdrawn to Namyung in China. Amongst the evacuees was the wife of Sun Yat-Sen, widow of the first president of the Republic of China. The two surviving Vildebeests remained, having been refused permission to withdraw to Kweilin airfield, but both were soon demolished rather than be risked in further combat. Further evacuations followed as the destroyers HMS Thanet and Scout were ordered to break out and escape to Singapore. They eventually arrived on the 13th of December, but Thanet was sunk by Japanese warships during operations off Sumatra soon afterwards. On the 10th of December the 45th Sentai’s Ki-32s attacked again, damaging the gunboat HMS Moth as she lay in drydock. It being clear the vessel could not be made seaworthy before the Japanese arrived, she was scuttled two days later. The wreck was eventually refloated and the Japanese commissioned her the Suma. She was eventually sunk by a mine whilst operating on the Yangtze River in 1945, having survived several Allied bombing raids during the intervening period. HMS Cicala was again the target of divebombing attacks by Ki-32s, evading most of the bombs but taking a hit from a dud in return for claiming two aircraft shot down. The Japanese Army had advanced rapidly in the face of occasionally fierce, but generally weak opposition. The 45th Sentai assisted the advancing troops by bombing and strafing the British positions, which helped to put the Japanese in position to control the entire peninsula. 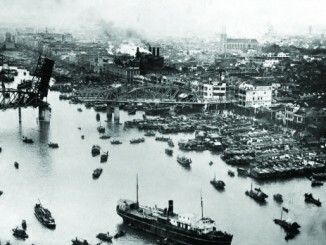 On the 11th, with resistance collapsing, the British began to evacuate to Hong Kong Island. The following day the Japanese bombers attacked the artillery batteries on Stonecutters Island, to the west of Kowloon, knocking out the guns. They also launched bombing attacks on Kweilin airfield, where they destroyed two aircraft which had been carrying out harassing raids on Japanese positions. 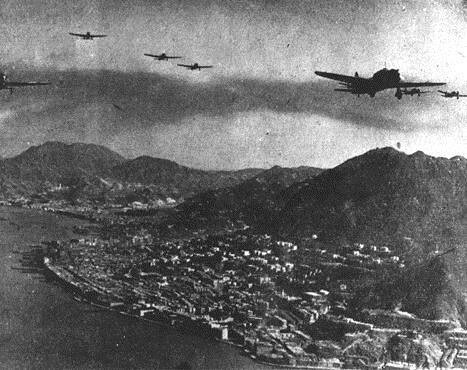 With the British having fully withdrawn to Hong Kong Island, the Japanese bomber units began to target defensive positions there prior to attempting a landing. 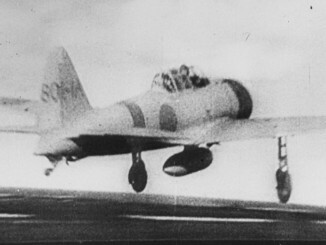 Additional forces were committed to this effort, notably the Formosa-based 14th Sentai which flew its first raid against Hong Kong on the 16th. The Ki-21 heavy bombers of this unit were tasked with attacking the naval base at Aberdeen, on the south cost of the island, where several vessels were undergoing repair. The 27 bombers involved in the attack damaged a pair of auxiliary ships and destroyed a motor torpedo boat, as well as damaging the destroyer HMS Thracian badly enough for her to be deemed irreparable. She was beached as a decoy, but was eventually raised by the Japanese and commissioned as Patrol Boat 101. She served throughout the war, surviving to be reclaimed by the Royal Navy after the eventual Japanese surrender. The Ki-21s continued on the Canton, where they remained for two days before carrying out another bombing raid on the North Point before heading back to Formosa. 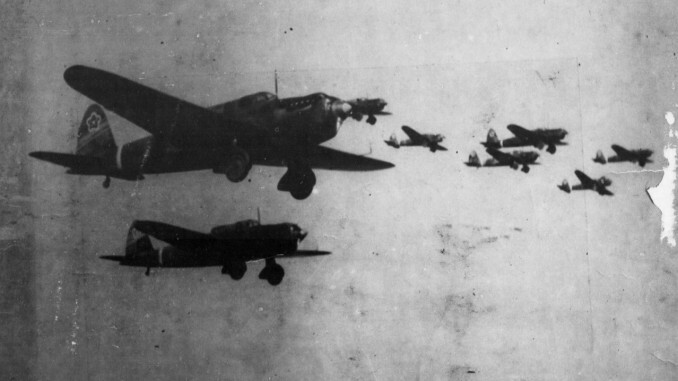 Navy G3M bombers of the 1st Kokutai, also based on Formosa, were called upon to launch another attack that same day as preparations for a landing attempt reached a climax. Those landings began late at night on the 18th of December. The British expected a landing near Victoria, but the Japanese had other ideas and landed at the North Point and quickly consolidated their gains. In an attempt to stem the advance a squadron of motor torpedo boats was despatched to attack the landing craft as they were being towed from Kowloon to Hong Kong. Despite a strafing attack by Ki-27s, which spotted the incoming craft, the MTBs managed to sink several boats with heavy loss of life. On land however the situation was deteriorating rapidly as British troops proved unable to stop the Japanese advance across the island. On the 21st the weary gunship HMS Cicala, having led something of a charmed life to this point, was busy providing artillery support when she came under attack from the air once again. A gaggle of 45th Sentai Ki-32s finally succeeded in ending the plucky little ship’s run of good fortune, as she was hit by three bombs and damaged beyond repair. The gunboat was eventually scuttled in deep water. The following day another gunboat, HMS Robin, was likewise hit and damaged by the marauding Ki-32s. She was also scuttled three days later as the colony was about to fall. The end finally came for the Hong Kong garrison on Christmas Day, 1941. With the pitiful air force long since destroyed and the naval force largely sunk or disabled, the army units ashore were helpless in the face of the advancing Japanese. At 1530 the governor of the colony formally surrendered to the Japanese, and Hong Kong had fallen. With absolutely no support from the rest of the Empire, the garrison had fought hard but was in a hopeless situation from the start. The surrender was soon followed by war crimes as the victorious Japanese massacred wounded troops in hospital which was a precursor to several atrocities inflicted on the civilian population and, as Hong Kong came under attack by Allied bombing, downed airmen. Many of the captured British servicemen did not survive their time as prisoners of war in Japanese camps.